This scenic San Francisco summit is the highest point in Arizona at 12, 633 ft. A strenuous 4.5 miles to the top, this hike is not for beginners. You start in a flowery meadow near Arizona Snowbowl and then wind your way above the tree line. The entire hike will take you about 8-10 depending on your ability level and you will gain around 3,333 ft. in elevation. Remember that Flagstaff is at 7,000 ft. so the air is thinner as you hike up. Please be careful to listen to your body and take training precautions before embarking on this adventure. This hike is open all year round but permits are required in the winter. The best times to make this climb are between late spring and early Fall. Even though this is the case, don’t forget that up on the mountain the weather can change suddenly so be careful of storms and heavy winds. Feel free to spend as much time as you’d like hiking but unfortunately there is no camping above the tree line. This mountain is sacred to many Native American tribes and loved by all locals so please remember to pick up trash and leave no trace! Happy Hiking! 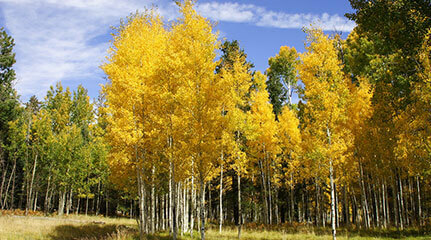 Humphreys Trailhead is located 14.5 miles northwest of downtown Flagstaff, AZ at the San Francisco Peaks. Take US 180 north for 7 miles, then Snowbowl Road (FR 516) for 7.4 miles to the Snowbowl lower parking lot. The trailhead is at the north end of the parking lot. All roads are paved.